I have been passing by Vivere Salon in Trinoma and Galleria a lot of times. This Salon is well lit and I can easily see the people inside whenever I pass by. It looks very posh and looks very expensive. In my mind, I knew going here would cost me a lot. 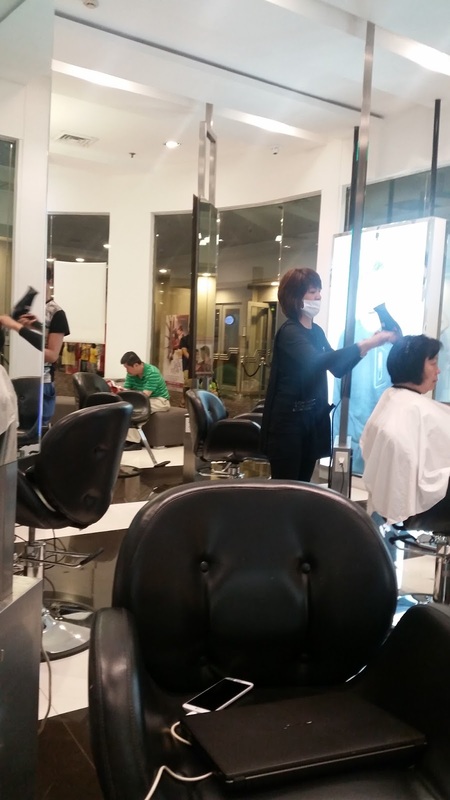 Luckily, I was invited to experience Vivere Salon. I was surprised that their prices are really competitive and the prices ARE ABSOLUTELY NOT that exorbitant as I thought they would be. 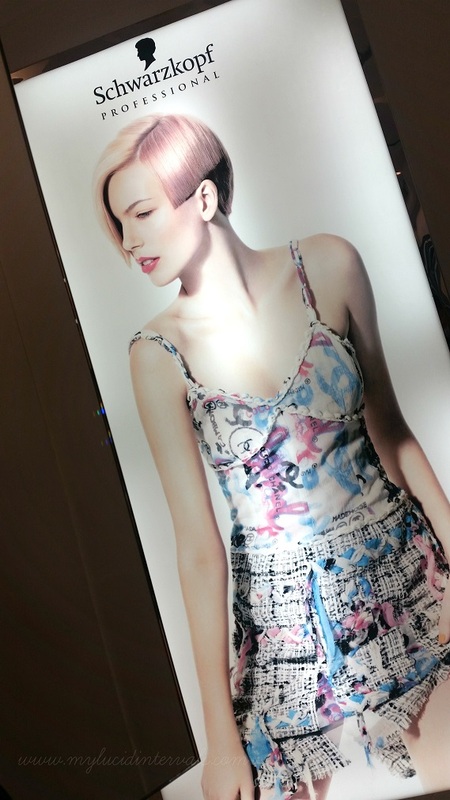 Vivere Salon is a premiere destination for bespoke haircuts and styles anchored on the training and education provided by the prestigious Vidal Sassoon Academy. This is like the Harvard Univ. of hair education. hihi I was hoping I had much pictures to share especially the before and after treatment but my camera failed me big time. Hay. I underwent Keratin Treatment more than a week ago. 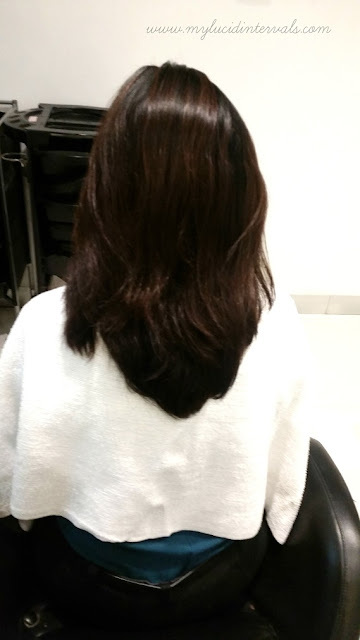 After shampooing my hair, they immediately applied the treatment. I could hear one of the the stylist telling the person who will apply the treatment on my hair to be careful on the application and ensure that the treatment will not touch my scalp. My ears were like clapping with glee. Yes. First time ko nakaexperience that I did not have to remind the persons in the salon that I have Scalp Psoriasis. They noticed it immediately. They did not look like USISEROs like in the previous salons that I have tried asking me, Mam ano po yan blah blah blah. They were professional enough to note that I have scalp issues and took the initiative to handle my condition very well. Did you know that even though I attend salon events, I would still get that nasty look from salon people once they saw my scalp. As in. Nakakapang liit at times and I would like to scream that that is not contagious etc. etc. Anyways, Kudos to Vivere for being very professional. As in!! Hands down! 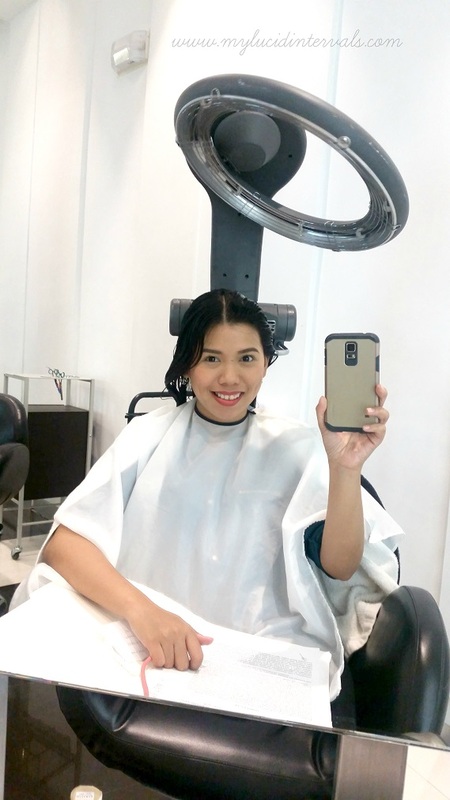 Okay enough of my chika, after shampooing my hair, the treatment was applied on my hair by layers and this heart producing and revolving machine hover slowly around my head. Afterwards, my hair was deep conditioned and then it was ironed. I noticed that this Keratin treatment, compared to the previous one I had before, did not have that nasty chemical scent. Rather, this treatment smell really nice. Also, my scalp did not feel itchy at all. This Keratin Treatment is the latest in this season's smoothing and de-frizzing techniques from Brazil. This has been dubbed as the miracle treatment. This is made from natural ingredients from Brazil like green keratin that is made of soy beans, corn and wheat. This treatment makes tames the frizzes and makes the hair look bouncy and healthy. The first photo is taken yesterday. That is my hair after more than one week from treatment. See how it looks so shiny, bouncy and soft. People in my house started noticing how shiny my hair looks and they kept on insisting that I underwent hair coloring. Hindi nga! Ang kulet. Keratin lang yan. This is how my hair looks like before the treatment. My hair has lots of waves making my layers look really weird. What to love about this Keratin Treatment from Vivere? 1. This tamed my frizzes and made my hair look healthier. 2. It made my hair smoother and shinier. 3. It does not have that weird chemical scent. 4. It is made of natural ingredients. 5. This did not make my hair look flat. It maintained the shape of my hair. 6. The effect of this treatment can last upto3-4 months. Take note, Keratin is a hair treatment not a hair straightening procedure like Rebonding. Overall, I am very happy with my Keratin Treatment at Vivere. Vivere Salon is offering 30% discount to this amazing treatment at 30% off. 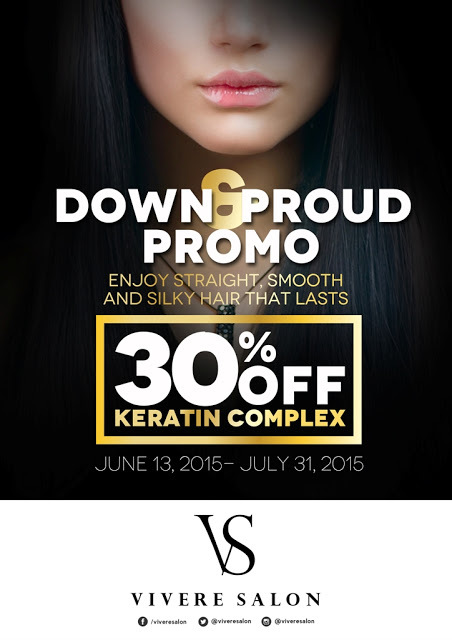 Enjoy this Down and Proud Promo until July 31, 2015. Have your tried Keratin Treatment? Love that they knew how to handle scalp psoriasis! Kainis lang yung mga hair establishments na walang kaalam-alam sa buhok... AHM ate kabuhayan niyo po yan. Wow, they're very professional indeed. I can't wait to get my hair done there. i would love to try keratin treatment too and vivre salon is one great salon and i like to have a hair make over there! Hi! Which branch of vivere salon did you have your treatment? Thanks! Hi, ask ko lang po which vivere salon branch ito? Thanks.